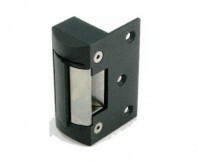 The FEM3500 is an unmonitored single magnetic lock and FEM3500D is an unmonitored double magnetic lock. The FEM3500M is a monitored single magnetic lock and the FEM3500DM is a monitored double magnetic lock. All models with 12VDC or 24VDC operation. 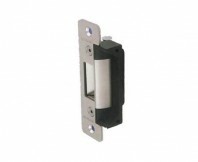 Each monitored magnetic lock has a built-in Hall Effect Sensor for remote monitoring of Lock status (LSS). 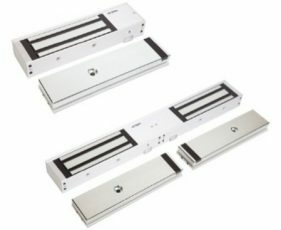 The devices have a highly visible high luminosity Light Panel and a Door Status Sensor (DSS) for remote monitoring of the door status as well as Lock Status Sensor (LSS). The monitored devices come with a patented Anti-Tamper-Security-Plate as standard to prevent hostile attacks on the dome-nut-fixing bolt of the Armature Plate. All FEM3500 Series Electro Magnetic Locks come with a lifetime warranty and have no residual magnetism. Refer to PDF brochure for Technical Specifications. 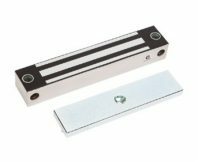 The FEM5700 is an unmonitored single magnetic lock; FEM5700D is an unmonitored double magnetic lock; FEM5700M is a monitored single magnetic lock; FEM5700DM is a monitored double magnetic lock. All models with 12VDC or 24VDC operation. 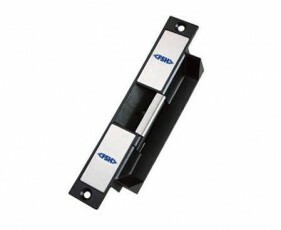 Each monitored magnetic lock has a built-in Hall Effect Sensor for remote monitoring of Lock status (LSS). 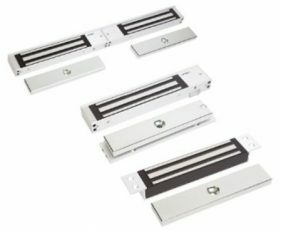 The devices have a patented highly visible high luminosity Light Panel and Door Status Sensor (DSS) for remote monitoring of the door status through a reed switch contact as well as a Lock Status Sensor (LSS). 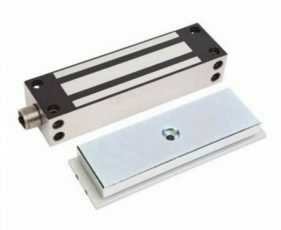 The monitored devices come with a Patened Anti-Tamper-Security-Plate as standard to prevent hostile attacks on the dome-nut-fixing bolt of the Armature Plate.” All FEM5700 Series Electro Magnetic Locks come with a lifetime warranty and have no residual magnetism. Refer to PDF brochure for Technical Specifications.